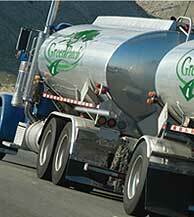 Green Product Solutions makes producing Eco-Safe Cold Mix a NATIONWIDE REALITY! Producing the first eco-friendly GreenPatch from your own manufacturing plant has never been simpler! GREEN PRODUCT SOLUTIONS will deliver the patented VOC-free liquid solution right to your door– ready to mix and easy to use! 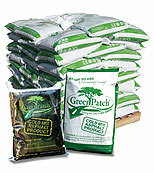 Be the first in your region to manufacture and sell the only nationally recognized 100% GREEN cold mix asphalt patch. Known for its high performance, cost effectiveness & 100% VOC compliance, GreenPatch is the first choice of utility companies and contractors across the USA. GreenPatch® has been designed with your budget in mind; it is a cost effective, environmentally friendly, permanent solution. Once you experience the many benefits of GreenPatch®, you'll understand why utility companies, road repair contractors, municipalities, water departments, and homeowners are all using GreenPatch; the first truly environmentally friendly high performance cold mix asphalt. 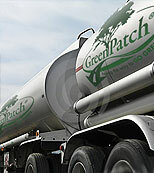 •• GPL (GreenPatch® Liquid) is a complete liquid asphalt product that combines GreenPatch® softener and asphalt cement. •• GPL can be delivered to your facility so you can produce GreenPatch® in your hot mix plant or portable pugmill. •• VOC compliant and high-performance at a conventional price! •• GPS (GreenPatch® Softener) is a high-performance / zero-VOC additive to mix with liquid asphalt for the production of GreenPatch®. It is a cost-effective softener customized for your production facility. •• GPS contains no petroleum solvents and is not considered an asphalt cutback. •• Conveniently delivered in 275 gallon totes. The future is NOW. To preserve a sustainable way of life demands ingenuity and conscience-driven innovations from a growing community of ecologically responsive producers. GREEN PRODUCT SOLUTIONS is a partnership of energy resources and manufacturers who are committed to the pursuit of technical advancement in alternative solutions to address our current global issues. 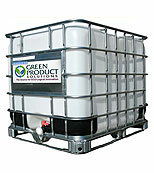 Green Product Solutions responds to the ever-growing needs of today's industry by investing in extensive research and devleopment to produce new replacement ingredients, materials and methods to optimize efficiency in product manufacturing while upholding current green standards in environmental awareness. Together, we can build A BETTER WAY. Copyright ©2011- Green Product Solutions, LLC. All Rights Reserved.